After yesterday’s Moto X (3rd gen) “leak” barrage, I know you aren’t satisfied. You want more, don’t you? It’s OK, I do. How’s this? The folks at HelloMotoHK posted this image to their G+ page last night, calling it the “X³,” which of course means Moto X (3rd gen). The phone features a gold metallic frame, along with a white backside and the camera/dimple housing that appears to be the trend of the year for smartphone design. We see the headphone jack up top, along with a SIM tray, both of which are in the same spots as they were on last year’s model. And yep, that’s pretty much it. My guess is that Motorola is adding a new gold frame color option to Moto Maker, joining the light and dark greys of last year. 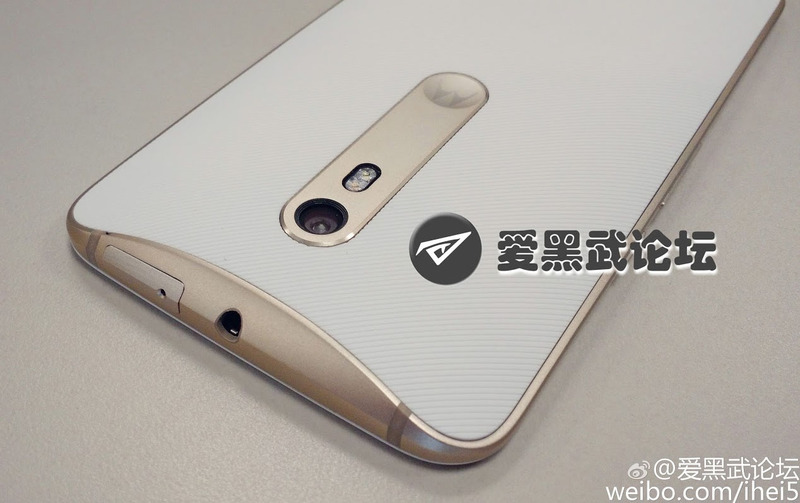 As of now, rumors suggest that Motorola has gone with a 5.5-inch display, making this the biggest Moto X yet. All of the images accompanying leaks show a phone that looks a lot like previous Moto X models, only with a touch more refinement and that previously mentioned camera/dimple housing. It looks nice, just not all that different.